The Ariel singles which came to be known as Red Hunters can be traced back to Val Page’s creations of 1926. Originally they were kitted out in black, and those Black Ariels have cultivated a cult following all of their own. The equine connection wasn’t established until Edward Turner flexed his influence in the 1930s. 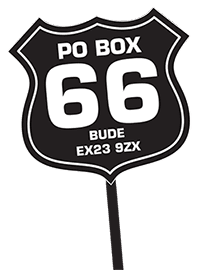 From 1931, the top of the range ohv 350 and 500 singles ceased being ‘Black Ariels’ and gained chrome petrol tanks, red paint and an identity to match the marque’s horsey theme. Gradual development refined the breed and soon the noisy, oily valve clatter was cured with top end enclosure. The VH 500 looked superb with its supersize headlamp, large comfy saddle and high-level exhaust. 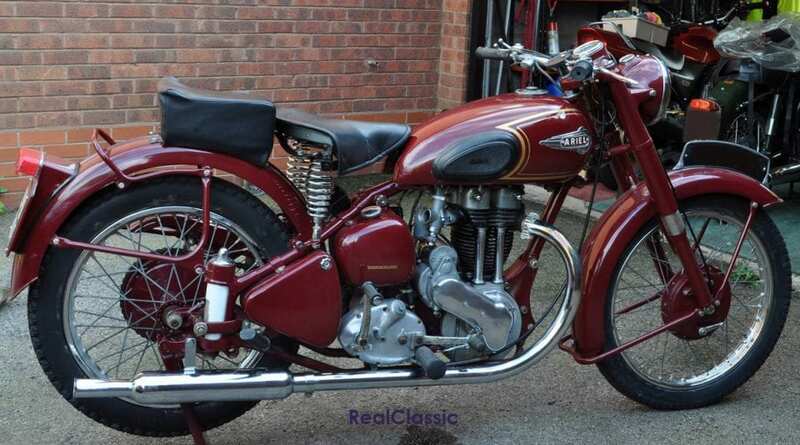 Cyril Ayton reckoned that ‘the best all-round Ariel of the 1930s was the 1939 497cc Red Hunter single,’ and rated it more highly than the marque’s flagship Square Four. 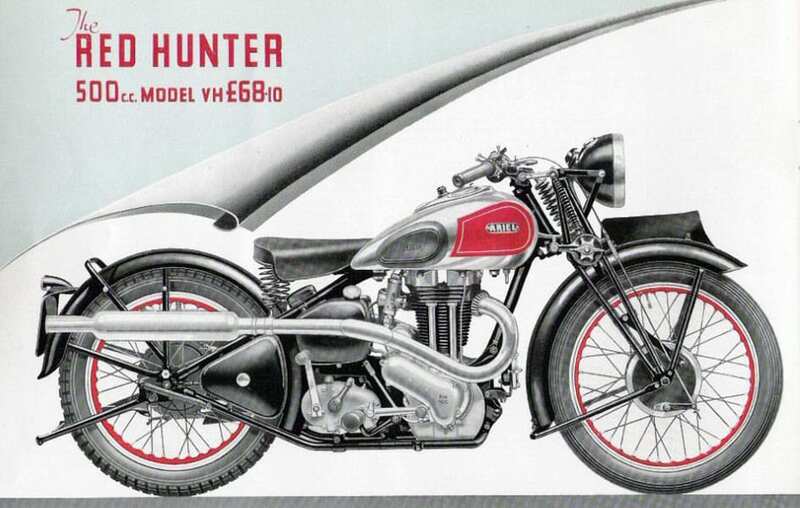 ‘The Red Hunter engine, simultaneously refined for the showroom and toughened for sporting use since its inception in 1932, was never better than in 1939. Long of stroke, but not grotesquely so at 95mm, and with plenty of “flywheel”, it produced usable power at low revs and would soar towel over 5000rpm while pulling a high top gear. 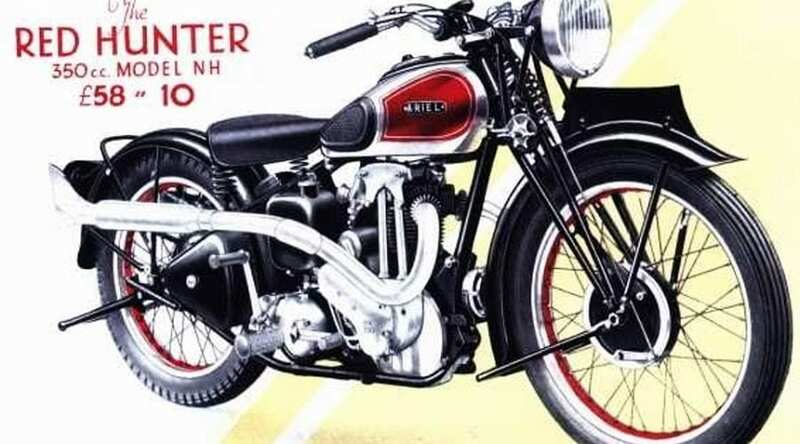 In fact the prewar 500 Red Hunter was so practical that one rider reckoned it was quicker over his 25 miles daily commute on rural roads than his alternative ride – an overhead cam Norton International! You can see the Anstey-link rear suspension set-up above, on the tele-forked 1951 thoroughbred, owned by RC regular MadMike. The rigid NH 350 seen here, which we discovered lurking quietly in a corner at one Stafford Show, shared its bigger sibling’s style. The 350 wasn’t significantly lighter than the 500, with 25% less power available to motivate that mass. This made it a little less flexible but still a peppy performer for its time. 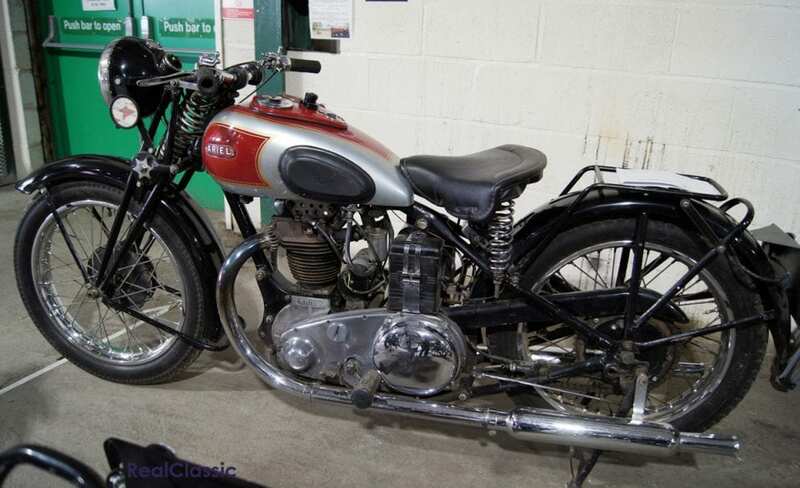 In 1937 when this bike was built, there was also an NF Standard model listed… but if any NFs were actually sold then we suspect they’ve all been ‘made over’ into ‘Red Hunters’ by now. 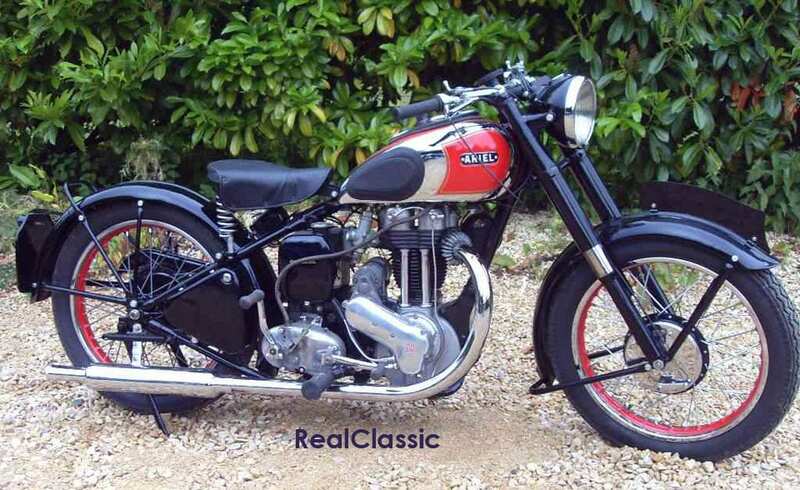 Ariel also built an NG De Luxe 350, which cost £54.10s back in 1937, £4 less than the NH Red Hunter. These days you’ll pay much the same for either machine. 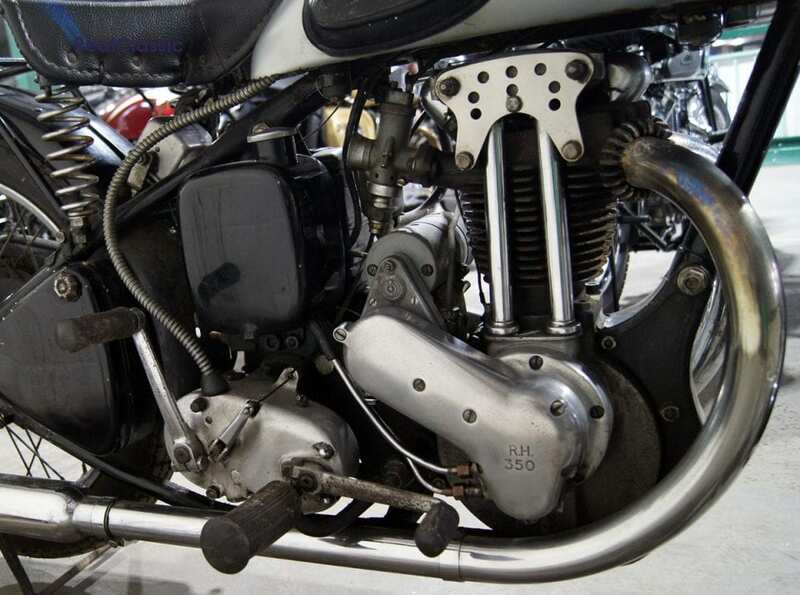 Anstey link rear suspension arrived in 1939 as an option and became standard after the war, when telescopic forks replaced the earlier girders. 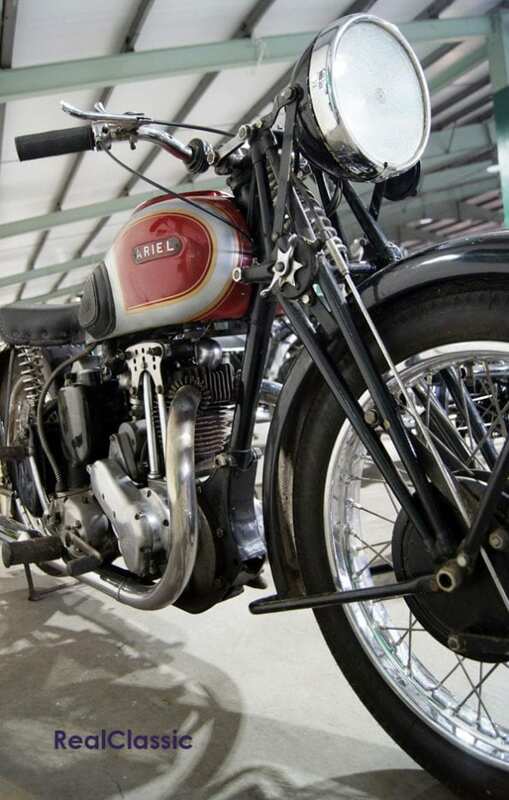 If you prefer the vintage feel of the 1930s machines then these Ariels are among some of the most practical pre-war bikes. 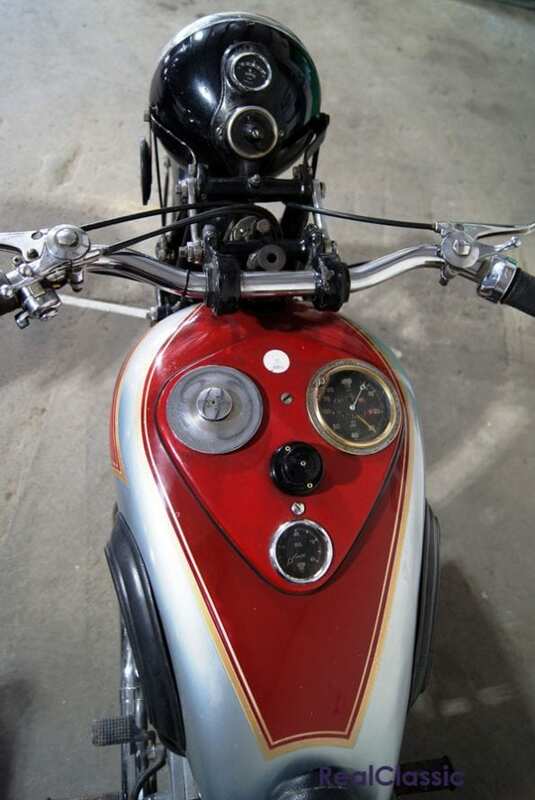 The specification didn’t change too radically over time and, thanks to the efforts of Draganfly Motorcycles and the Ariel Owners’ MCC, there’s a good supply of spares and expert advice available. If you own or have run a Red Hunter, feel free to add your thoughts below!